One of the fanciest pairs yet. 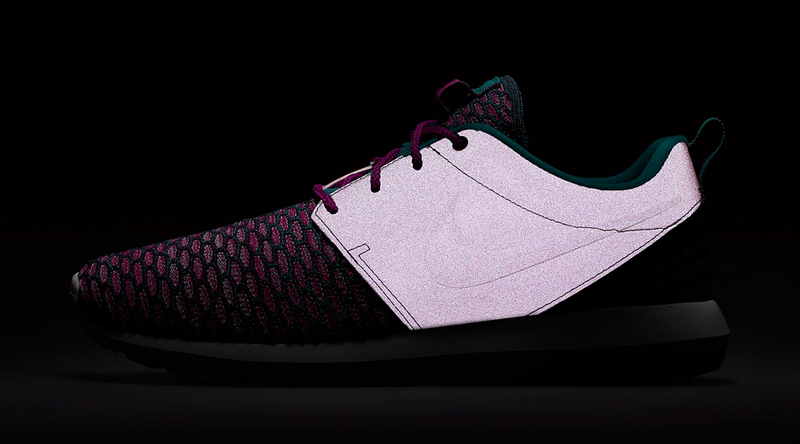 Ever since its debut, the Nike Roshe Run made its debut, the sneaker has slowly been built up with even more and more premium materials. 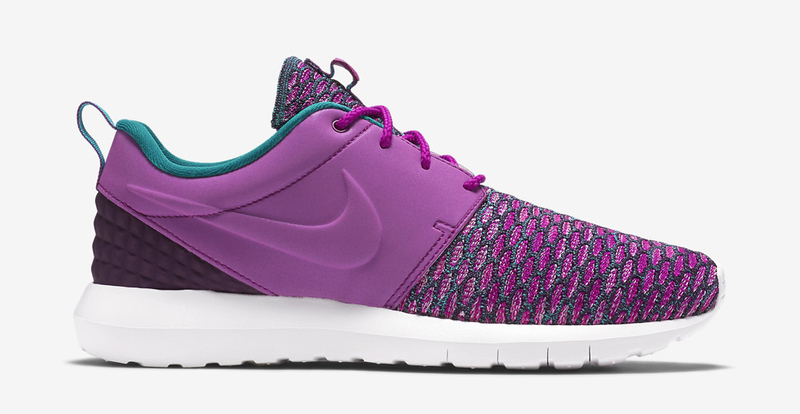 This new pair might represent a pinnacle for that build up. 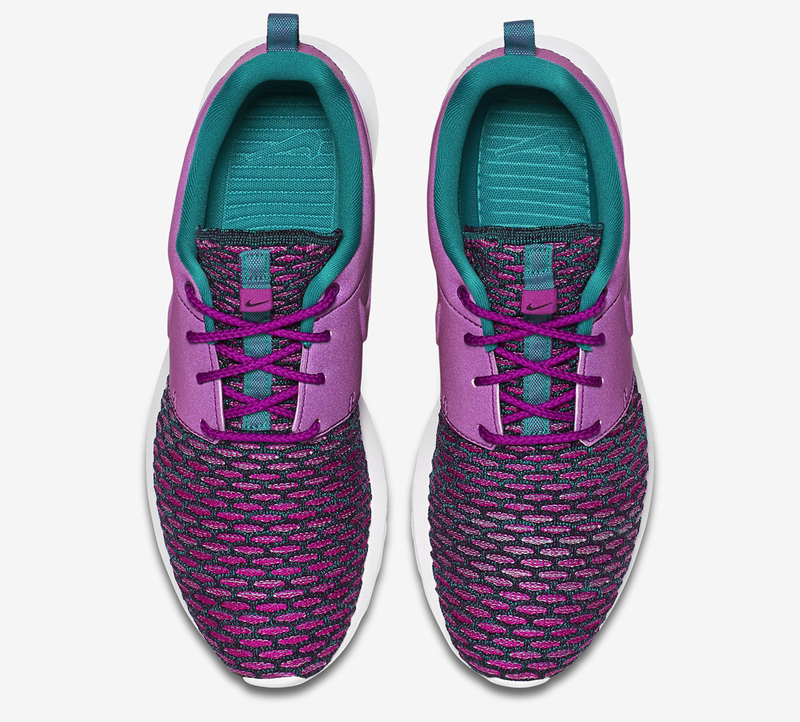 The model here features the Flyknit upper that's been increasingly popular, along with a reflective panel for the saddle that ups the ante on the premium nature of the shoe. 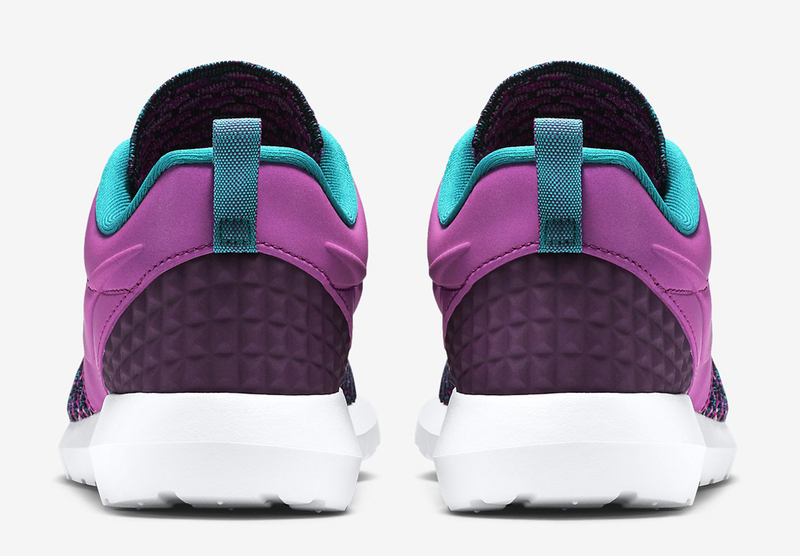 Meanwhile the colorway is a familiar "Grape" that focuses on emerald and purple. 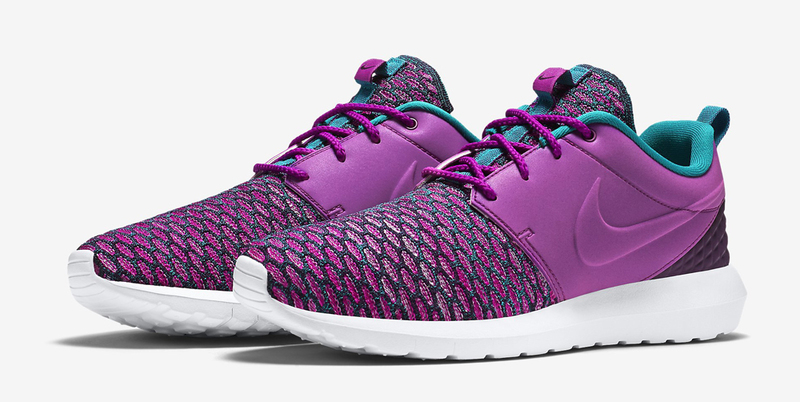 This Nike Flyknit Roshe Run doesn't appear to have released in U.S. shops yet, but should be here before too long.